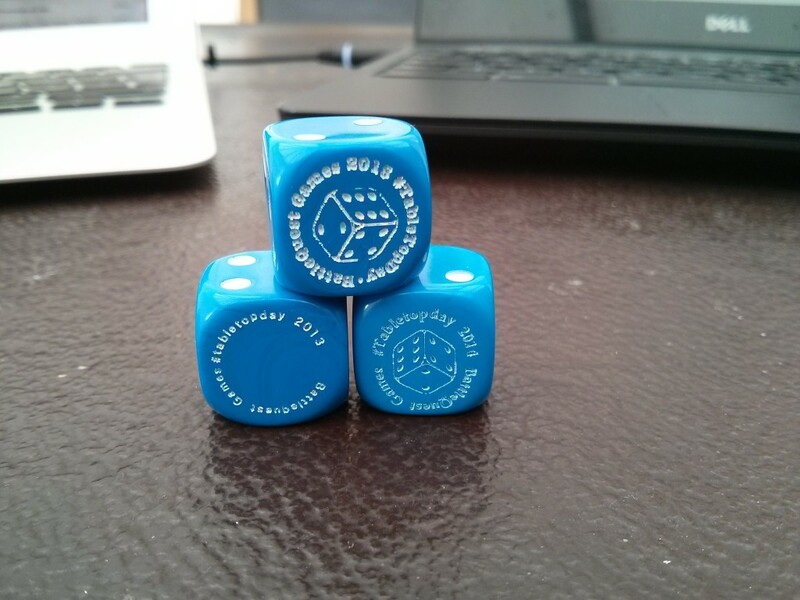 Why this will be my last International Tabletopday involvement. I love playing boardgames. I enjoy the social and the intellectual engagement which the hobby creates. I love that in the last few years the hobby has been moving from a niche to mass market identity and with it the acceptance that playing games is not a childish pursuit and that it no longer ensures Risk or Monopoly are your only means of tabletop enjoyment. When the first International Tabletopday was announced back in 2013 I dived right in. I encouraged my own friendly local boardgame shop , Battlequest Games, to allow me to take on the organisation and promotion of the event. 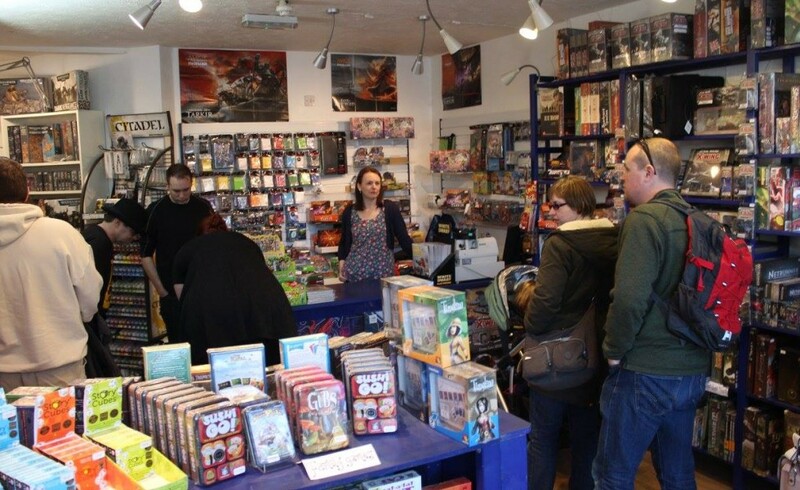 I organised flyers, I organised a local game design company ( Black Box Games creators of Lords of War ) to attend, I organised custom dice for people who played on the day, I organised updates on the main Tabletopday website and on Boardgame geek. We ran a Youtube live stream and we tweeted and google+’d and facebooked and through it all I felt that the whole experience was still a very LA centric event. It was focussed on how cool everyone at Geek&Sundry were and how many cool things they had access to. Our event was successful, it was busy and it was generally well received. Skip to the following year and I went through the same motions and the same effort and the lovely chaps of Maverick Muse creators of Oddball Astronauts came along. Again the event was packed and the day was busy and the social media was overly posted and I still felt we were out here in the UK doing this and despite the International feel the day as broadcast online was a very LA centric event. Cut to this year and I did not bother adding our event to the TabletopDay day site, I skipped promoting International Tabletop day on Boardgame geek. Instead we focussed on the local and with the return help of Lords of War we ran another packed day of games and boardgaming. I watched as the live streams poured out of LA and you would be hard pressed to know this was an international event especially as most Australia, New Zealand and Asia were already exiting the day just as America were waking up to it. It is a lovely idea but it has never felt like an international event and next year I will do something different; There will be no stopping the LA juggernaut of press releases and LA focus but for this part of the world we know that we love boardgames, we know that we are a vibrant community who are passionate about tabletop gaming, and in taking a leaf out of the book of Tom Vassal we probably do not need a special day to enjoy it. In the last three years myself and other participants have not felt part of an international event we felt part of a local county wide community and I think that is something I want to encourage in 2016. Meanwhile I want to again thank the great chaps from Lords of War whose current Kickstarter : Lords of War Fantasy Battles Elves versus Lizardmen like the ones before is seeing great interest and feedback. If you have a chance to put Lords Of War into your tabletop collection then you should. ← I have been running from Zombies.